Find a vacation home to rent in Rødekro from our list of vacation rental properties. 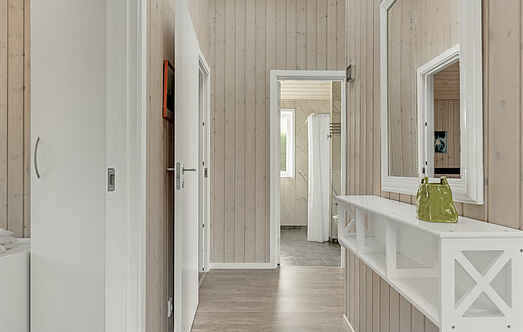 Campaya has over 6 vacation homes available in Rødekro, which give you the possibility to locate a unique accommodation in Rødekro which completes your check-list in search for the perfect self catering vacation apartments in Rødekro or vacation villas in Rødekro. This cosy holiday home is situated in a garden near the water. There are beautiful panoramic views from the living and balcony. Enjoy a beautiful view of water and beach from the wonderful conservatory during summer, which is located a couple of metres away from this home. Try staying at this spacious and partially refurbished holiday home situated only 10 metres from Sønderballe Strand. This is a pretty and modern, well-furnished wooden holiday home. This house is situated on a slope and can be reached by 55 steps. Enjoy a fantastic view of the sea and the environment. This holiday house is located in the countryside, close to many cultural attractions.